To make the winter “warmer”, almost all sellers are offering discounts for their commodities before the coming New Year. VeryPDF, Inc. here also provides a 20% discount for the useful application PDF to Word Converter in the “Christmas Shopping Times”. Would you prepare something for the next year’s work? Click here to buy the application with a coupon of 20%. It is just for you before Dec. 31, 2011. The developer designed VeryPDF PDF to Word Converter specially for converting documents of pdf to word. More and more documents are stored in PDF files, which are not easy for reediting. One method to edit a PDF file is to use the professional Adobe Acrobat that is much expensive. The other way to edit the content of the PDF file is to convert the file from pdf to word or from pdf to rtf (Rich Text Format). Most word processing applications support Word and RTF formats, and you can edit your files easily after the conversion. Besides extracting words and sentences in from the PDF files, PDF to Word Converter supports to retain the graphics and pictures of the PDF files in the new converted Word or RTF files. This application also provide a command line tool, using which you can perform a batch process in a script. For more information about VeryPDF PDF to Word Converter, please visit its homepage http://www.verypdf.com/pdf2word/help/help.html. 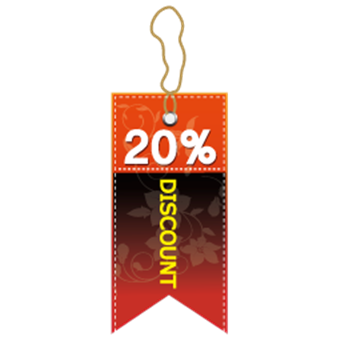 Now you can own the useful conversion tool with a much lower price at a 20% discount with clicking this coupon link. With an official license offered by VeryPDF, Inc., you need not to waste your time in vain for searching an alleged registration key published by others. Moreover, most so-called registration packages are packed with malwares or even virus, using them will explode your computer system in a high risk of privacy. The coupon of 20% discount offered by the VeryPDF, Inc. is valid only before the first day of the New Year, so do not hesitate, just go to this link and save your money with a 20% off price.